Vancouver B.C., Dec. 16th, 2011 — Following the announcement at this year’s New York Comic Con, graphic novelist and fine artist Camilla d’Errico and writer Kurtis J. Wiebe (Green Wake, The Intrepids) are proud to launch the Sky Pirates of Neo Terra webcomic from Day 21 Studios on the brand’s website. 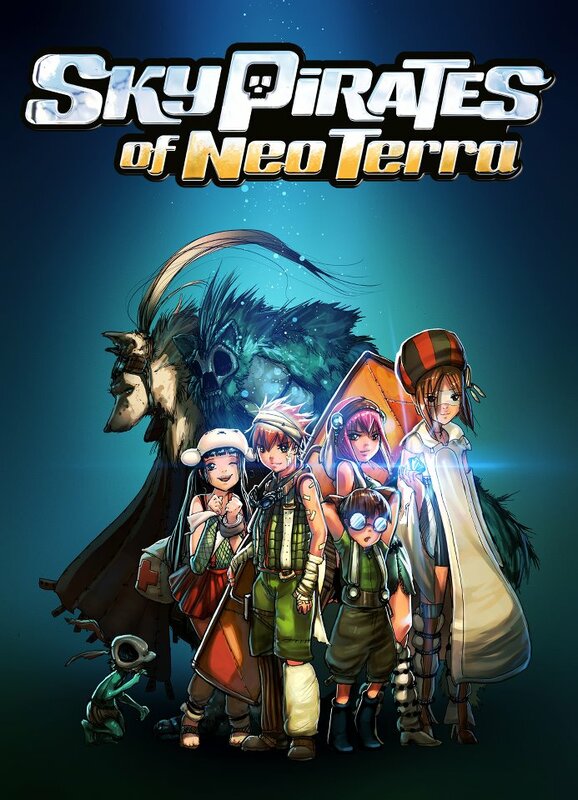 Based on the Image Comics title of the same name, the new Sky Pirates of Neo Terra webcomic series tells the side-stories of characters not seen in the original graphic novel, and gives more depth to upcoming video game that will be released for Apple devices and the Facebook platform in the near future. To speak with Camilla d’Errico about her various projects, or to receive images, screenshots, video, and other feature assets, please use the contact information listed at the bottom of this public release. Camilla d’Errico is an urban contemporary painter, illustrator, character creator and comic artist residing in Vancouver, BC. With roots in comics and manga stylings, Camilla’s beautiful work is seen on toys, clothes, accessories and more. She has been published by Random House and Tokyopop (Avril Lavigne’s Make 5 Wishes), Simon & Schuster (Camilla d’Errico’s BURN), Image Comics (Sky Pirates of Neo Terra, Fractured Fables), IDW (Swallow 5, Sparrow 13) and Dark Horse (Myspace Dark Horse Presents, Vampy Cat, Femina & Fauna). More details of her recently announced project with Joshua Dysart (The Unknown Solider, B.P.R.D.) titled Helmetgirls: Origins. This entry was posted in Media, Press Releases, Webcomic by Kevin A. Boyd. Bookmark the permalink.